THE HIT MEN — Legendary Performers with Frankie Valli, Carole King, Cat Stevens & more! 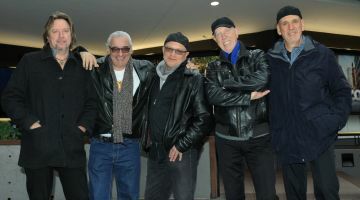 If you loved Frankie Vallie and the Four Seasons, Tommy James and the Shondells, Carly Simon, Cat Stevens, Elton John and Jim Croce then come see The Hit Men! The Hit Men are an amazing look back through rock and roll history, featuring former members of these mega-star acts. They will perform your favorite songs like “Oh What a Night,” “Who Loves You,” “Sherry,” and many other Four Seasons hits, as well as “Peace Train,” “Crocodile Rock, “Leroy Brown” and “Mony Mony.” You’ll know every word in every song in this night of mega hits by artists you heard on the original records, listened to on the radio, watched on TV or saw in concert.